Today I wanted to do a review on Mod Podge's Dimensional Magic. Now I had heard about this product months ago but just never got around to buying it. I would always walk by it in Hobby Lobby and think to myself that I really need to try this product. Well a few months ago when I was thinking about new jewelry for my shop, I had the idea to create jewelry that had a ''resin'' look. I did not want to pay 12.00- 20.00 dollars for a resin kit, so I decided to take the plunge and buy dimensional magic. Create faux mosaic, quilt and other textures with added dimension. Dries clear and allows the full color of the surface below to show through. 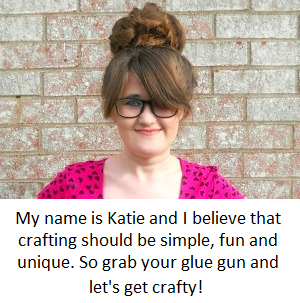 Works with Mod Podge, acrylic paint, dyes, pigments and more. 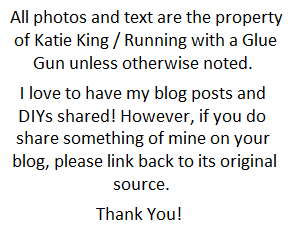 Stay put formula won’t sag or run. 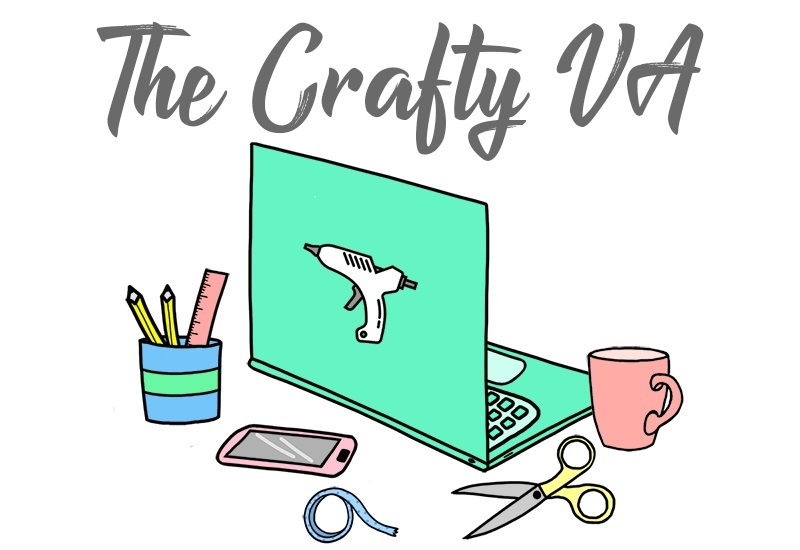 Perfect for jewelry, paper crafting and accenting home décor items. I was pretty excited when I got the product home. I began using it on tray pendents and when the product came out of the bottle, it was a milky white. Then I popped any air bubble (which were kinda of difficult to pop) and let it dried. Over time the milky white color would turn clear. I also let it dry over night. After it was dry I had mixed emotions because the color was clear, my image below the Dimensional Magic was not dull but there were still air bubbles. Which I know it one of those things were ''its going to happen'' but like I said I had a difficult time popping the air bubbles when I first put the Dimensional Magic in the tray pendent. It saids on the bottle not to shake because it can cause air bubbles. I didn't shake the product but when I looked inside my bottle I could see some air bubbles. So the bottle could have been shaken when I was carrying it around in the store or when the cashier threw it in the bag. 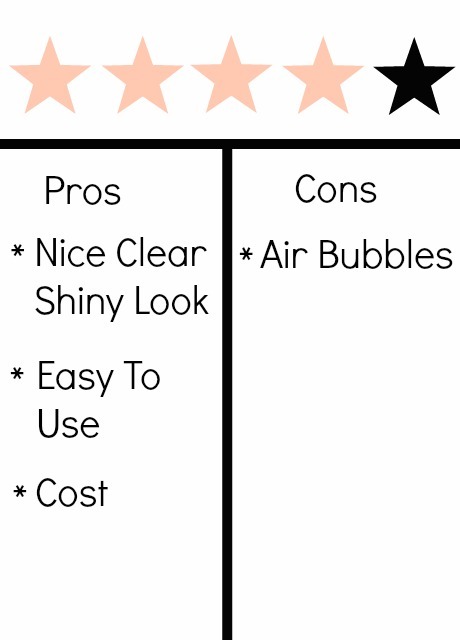 I didn't let the air bubbles keep me down because after using the product a few times I noticed that the air bubbles became less and less. So my suggest would be to take a paper plate and squeeze out some of the product onto the plate before you use it on your project. I actually used the product on my Easter Candy Box DIY and it worked great (this was after I had used it few times). 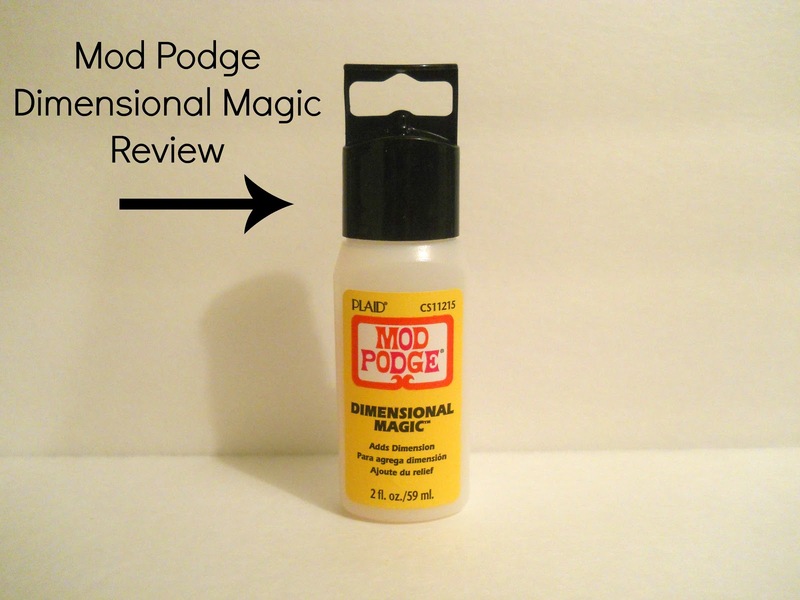 Overall I would give Mod Podge Dimensional Magic 4 out of 5 stars. It gave you that ''resin'' look, it was easy to use and compare to resin it was much cheaper ( I paid 5.99 at Hobby Lobby). The only con I had about this product was the air bubbles. I felt like they were difficult to pop and if you weren't careful that the air bubbles would form. So have any of you guys used Mod Podge Dimensional Magic? p.s Before buying the product I had watch this video about how to use dimensional magic, what projects it was best for and so on. Some of you may find it helpful! I can understand your frustration. When I first used the product I kept getting air bubbles in all my projects. I think its one of those products that you have to be extra careful with (which is really a hassle in the long run). What helped me was squeezing some of the product out onto a paper plate before I used it on my projects. Also I know on the back of the product and in the video above they talk about the temperature in the room (when you making your project), so that could also be a factor. Well heres to trial and error (lol).